**THANK YOU EVERYONE FOR YOUR INTEREST multiple offer were received and we are now under contract BUT sellers are open to formal backup offers, please submit to Brittney@BetterREC.com** Location, location, location! 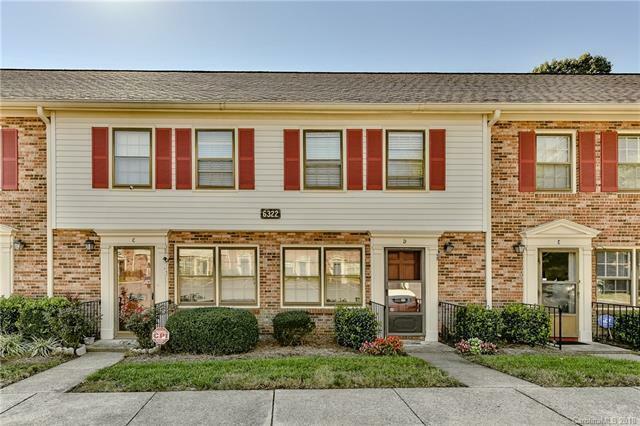 Cute as can be two-story condo, close to uptown Charlotte and walking distance to LIGHT RAIL! Close to YMCA, on bus route, playground and amenities! Step inside the immaculate first floor living room with updated kitchen, tall dark wooden cabinets and half bathroom with gorgeous tile flooring throughout. A private brick enclosed patio awaits for your next gathering and the open layout of the first floor is perfect for entertaining. Upstairs you'll find two spacious, freshly painted bedrooms. The plush wall-to-wall carpeting on the second floor is neutral in color and beautifully maintained. House has been professionally cleaned and ready to meet its new owners! Offered by Better Real Estate Carolinas. Copyright 2019 Carolina Multiple Listing Services. All rights reserved.